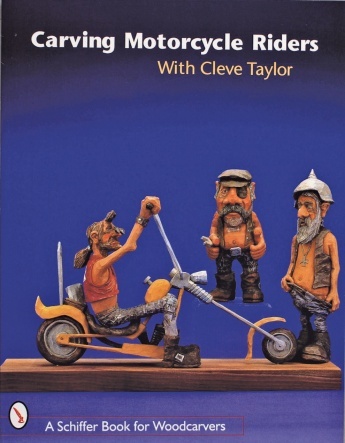 Cleve Taylor takes to the road steering readers effortlessly through every step needed to carve an impressive and humorous caricature of a motorcyclist and his bike. Over 225 color photographs illustrate Cleve's clear concise instructions. When this basswood figure and his bike are complete instructions are also provided for painting and aging. Patterns are provided for both the figure and the bike. The gallery photos at the back of the book feature additional biker figures by both Cleve Taylor and some of his carving students. For additional inspiration three color illustrations by caricature artist Bruce Day round out the presentation. This book is sure to be inspiring for beginning carvers and a real pleasure for experienced carvers.